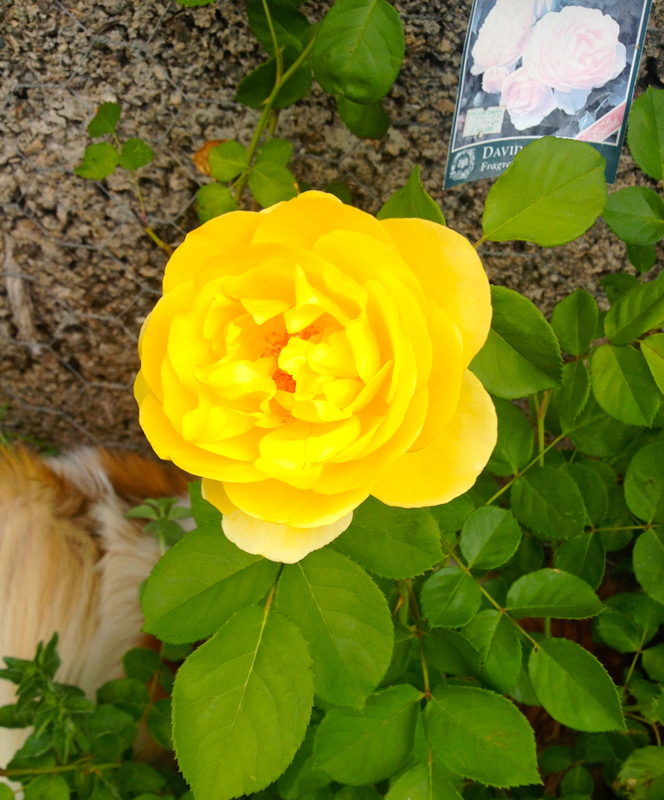 Crepuscule – this is one of the first roses I planted and is nearly two years old. A few more have since found their way into the garden. Graham Thomas, a David Austin rose. Roxy seems to think there may be a lizard nearby. Molineaux, another yellow David Austin. 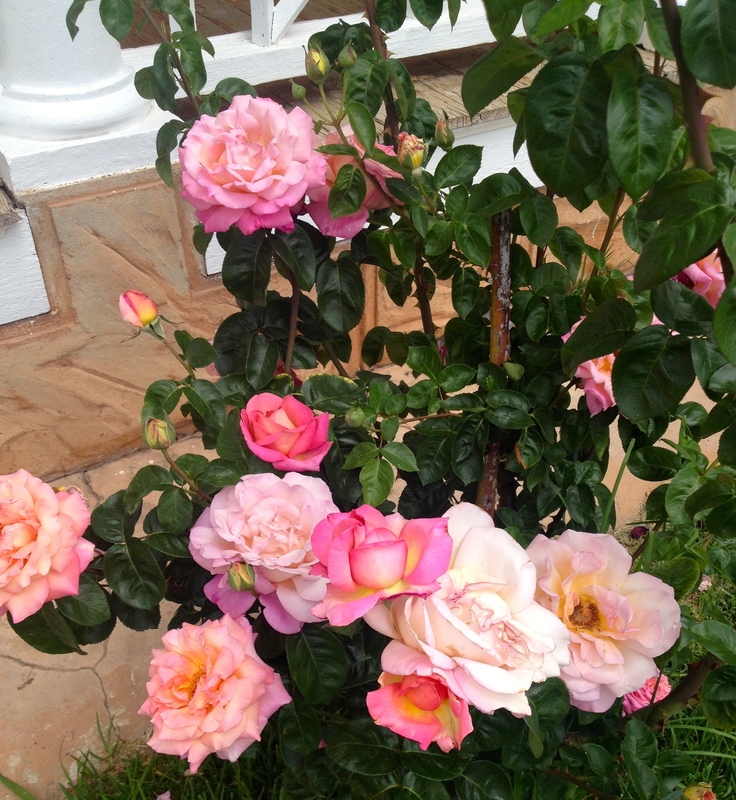 Particularly exciting this Spring is watching the roses bloom. 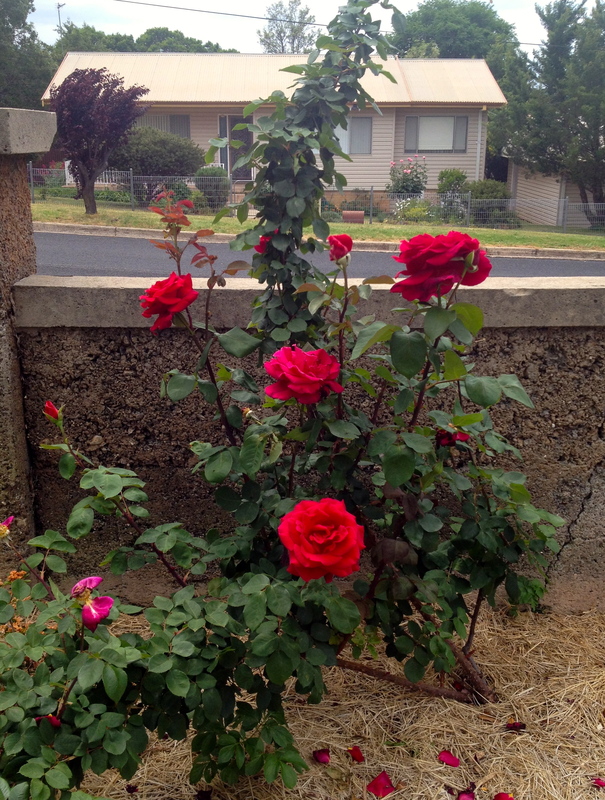 I know I can’t take the credit as roses do very well in Kandos. 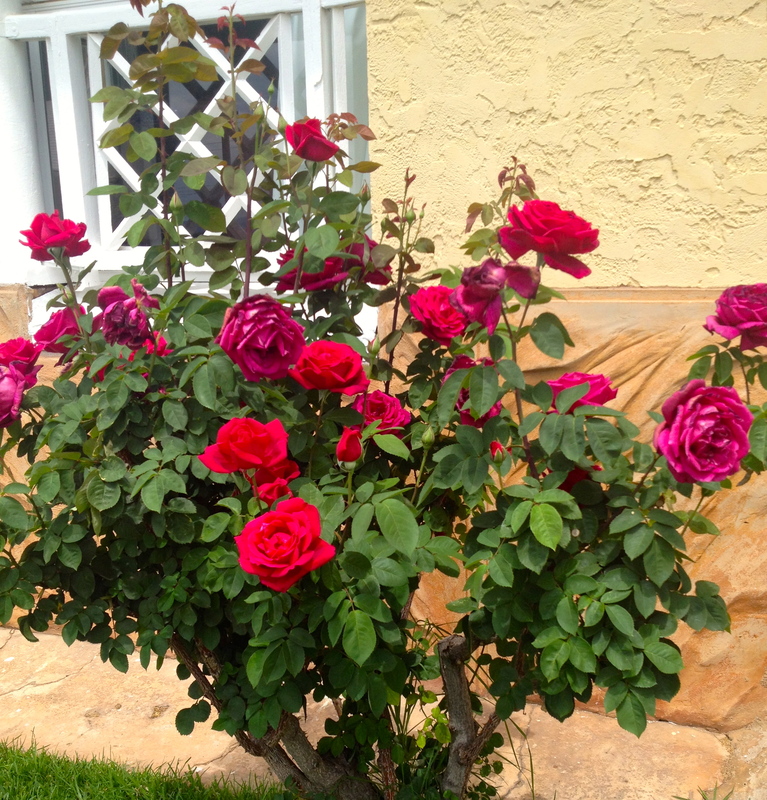 When first buying my property the agent told me that the only roses that won’t grow here are ones that aren’t in the ground. That being said, I’ve been responsible for a few rose tragedies. 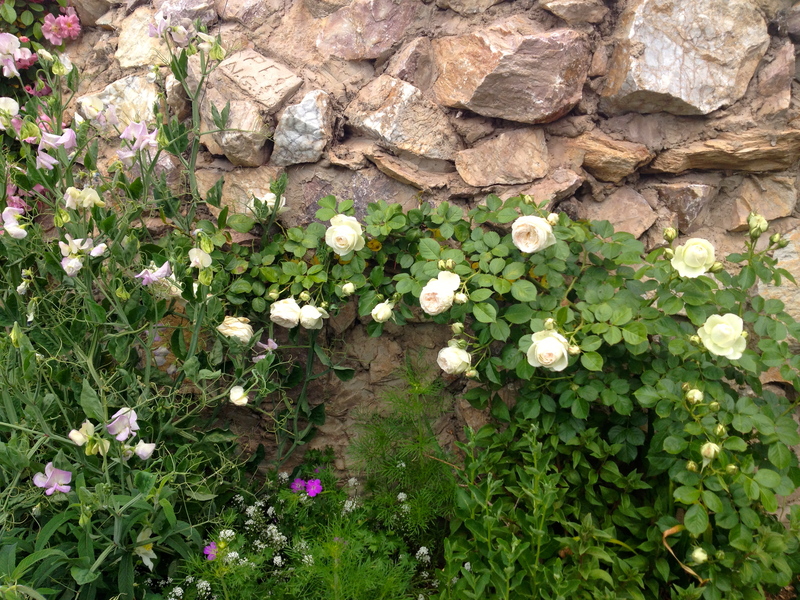 However I’ve also added over 100 roses to the garden, mainly heritage varieties. 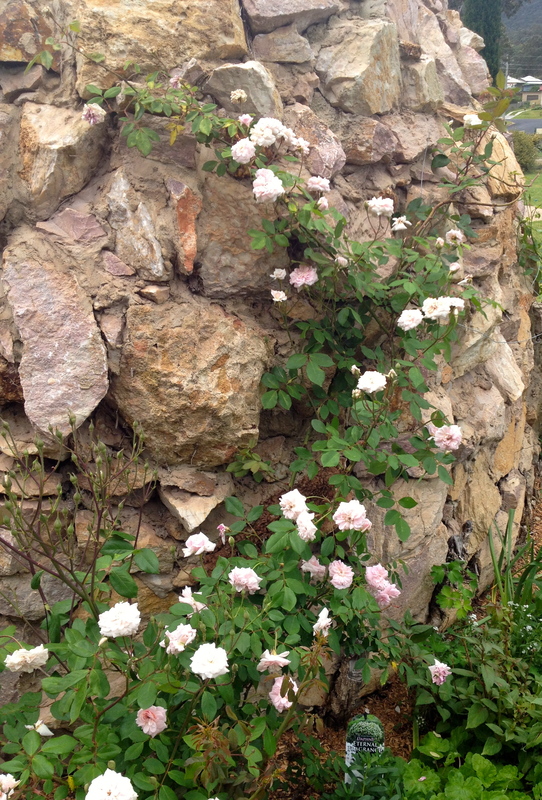 A Blushing Pierre de Ronsard along the Grotto. Pinky making her presence felt at the Grotto. 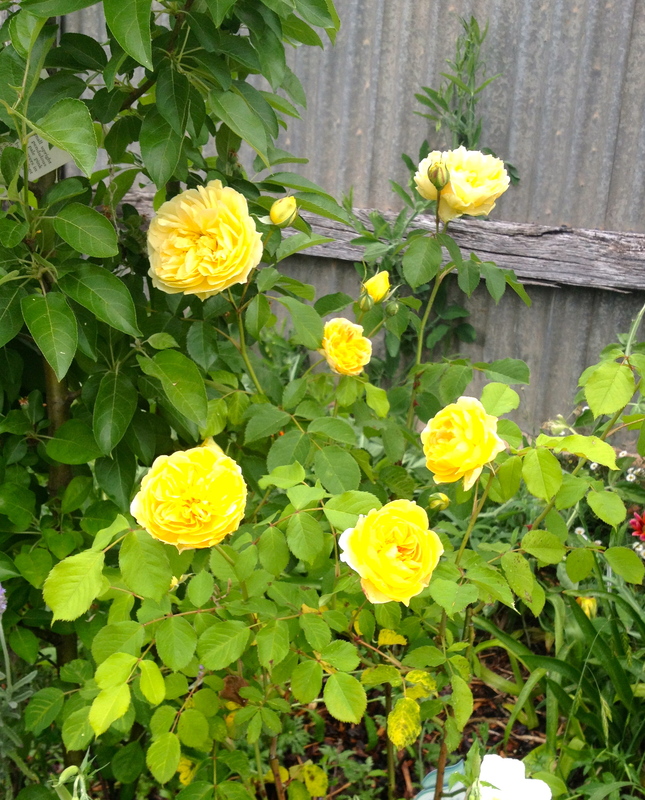 Anyway, all of my roses other than ‘The Original Seven’, are very new – less than two years old – and it’s exciting to see them begin to establish and flourish. Also to see what type of flowers they have rather than just being a picture on a label (or not!). 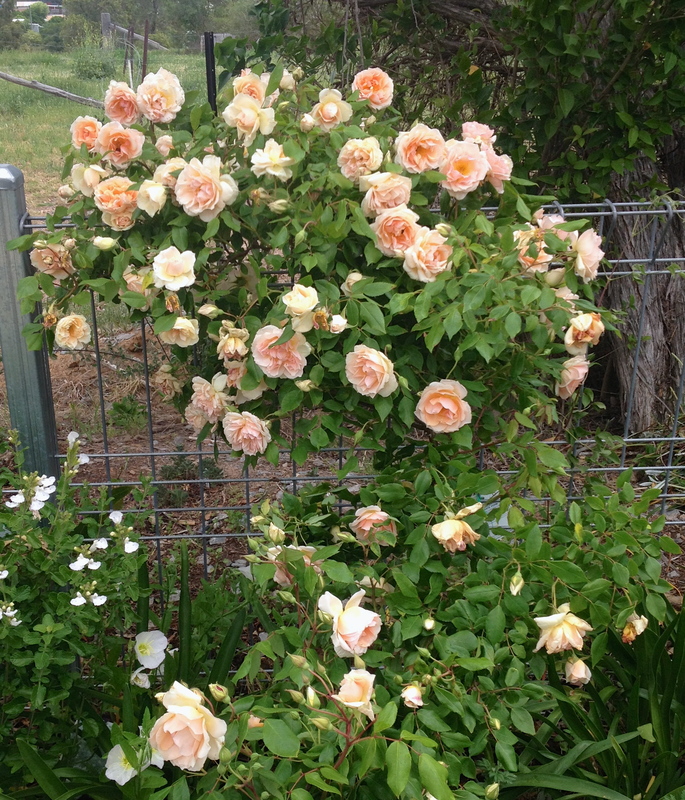 The old roses appear to enjoy the attention, with a hard pruning and good feeding. 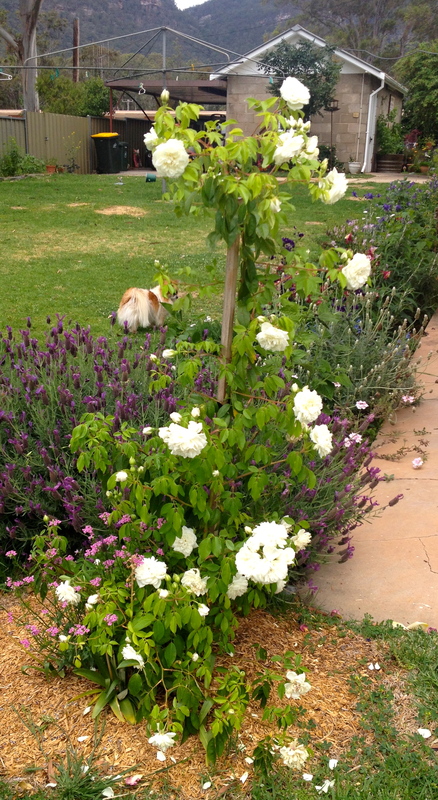 The new roses are just beginning to show their growth patterns. It’s such a luxury to be able to select roses to pick each day for indoors, but I also just love seeing them on their bushes. One of the ‘Original Seven’, a Chicago Peace. Cecile Brunner running up the Grotto. The original plan was to have climbers and ramblers tumbling themselves over the ash brick wall to what is quite a plain footpath. This is now just starting to succeed and should look a picture in years to come. 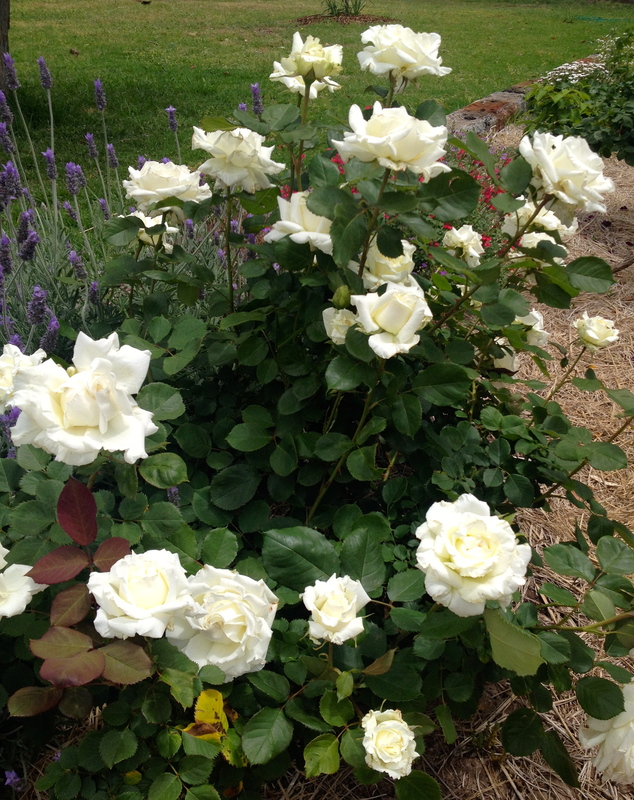 One of the newest but most vigorous roses – the Tennis Court rose. Lamarque – it’s first year here and doing outstandingly well. 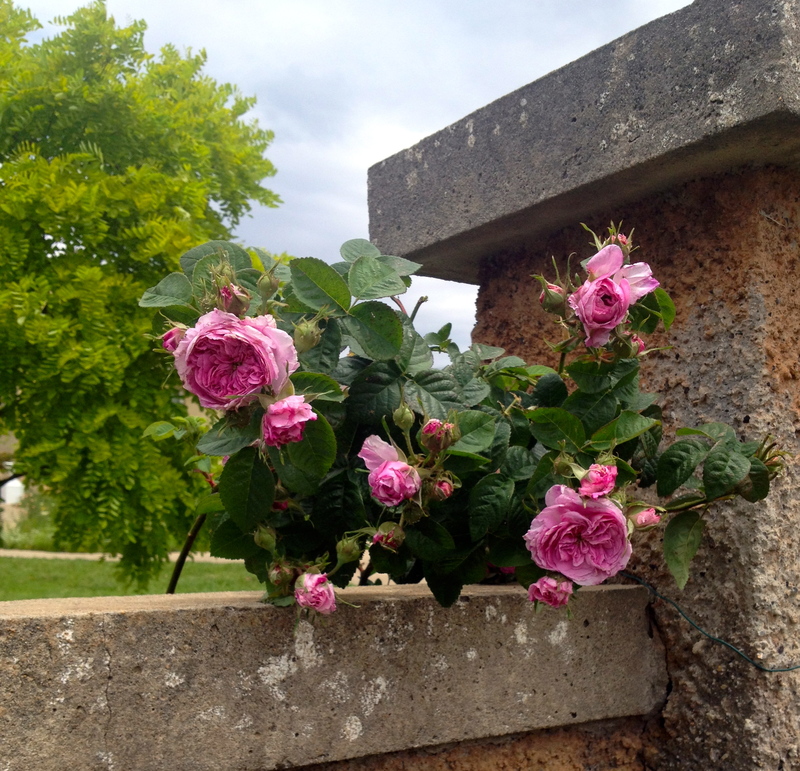 Papa Meillard – makes up two of the ‘Original Seven’ roses remaining at The Convent. 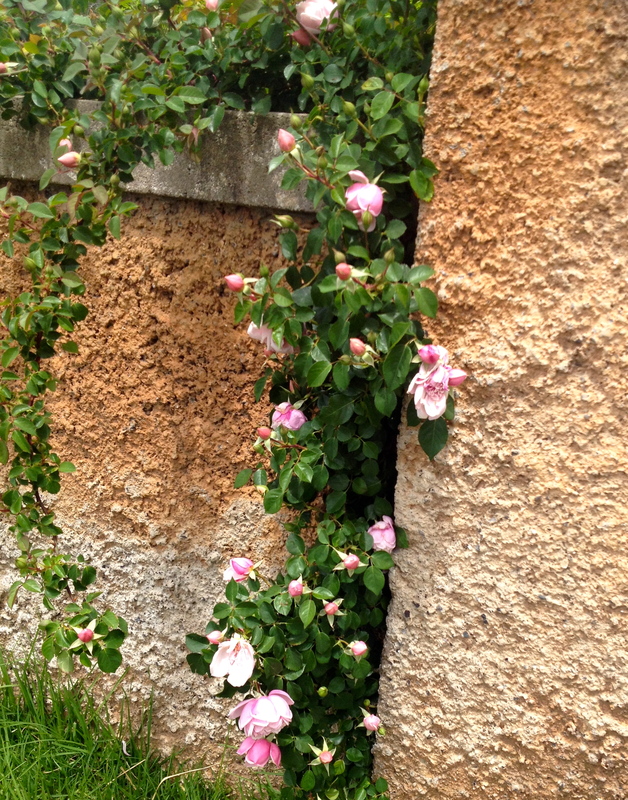 Albertine doing exactly what I want – climbing over the fence to the footpath. The Pope – Pope John Paul II. One of three and always reliable. Well, for the two years I’ve had them. 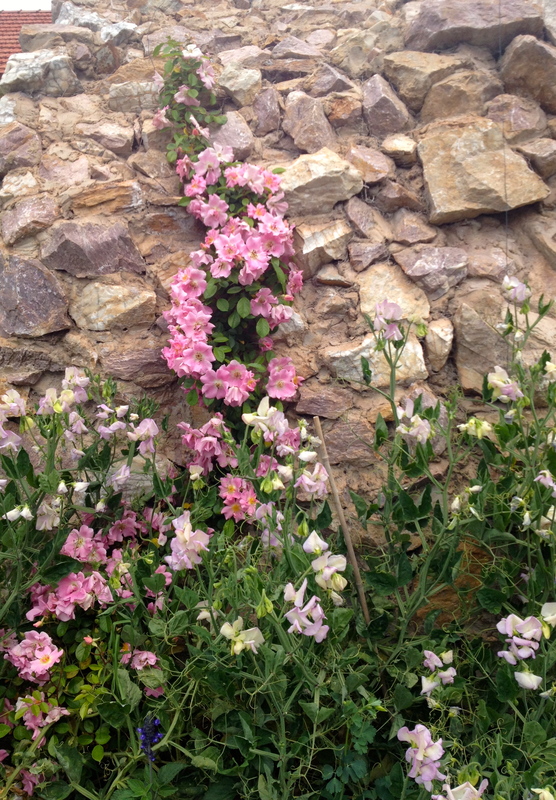 One of two Mr Lincoln’s at the front wall. Such a punch of colour.